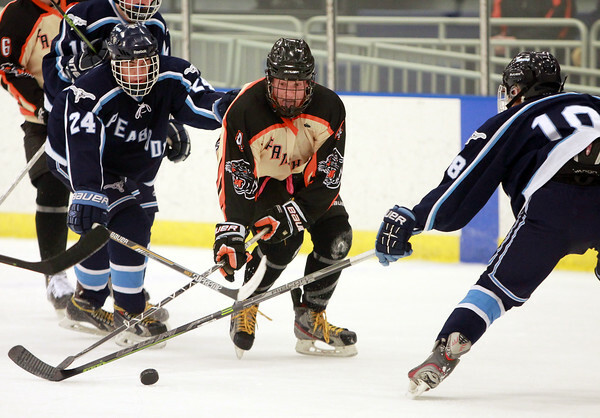 Beverly senior captain Ted Leathersich (4) fights for the puck while being stick checked by Peabody sophomore Nick Merryman (24) and junior Patrick McCarthy (18) at the Rockett Arena at Salem State University on Wednesday afternoon. The Tanners bested the Panthers 3-2 in NEC hockey action. DAVID LE/Staff photo. 1/14/15.